The easiest way to bake Irish potatoes and have them ready for you when you get home from work is in the slow cooker. What if everyone in your family doesn’t like baked Irish potatoes? Bake some Irish baking potatoes and some sweet potatoes at the same time in the slow cooker. 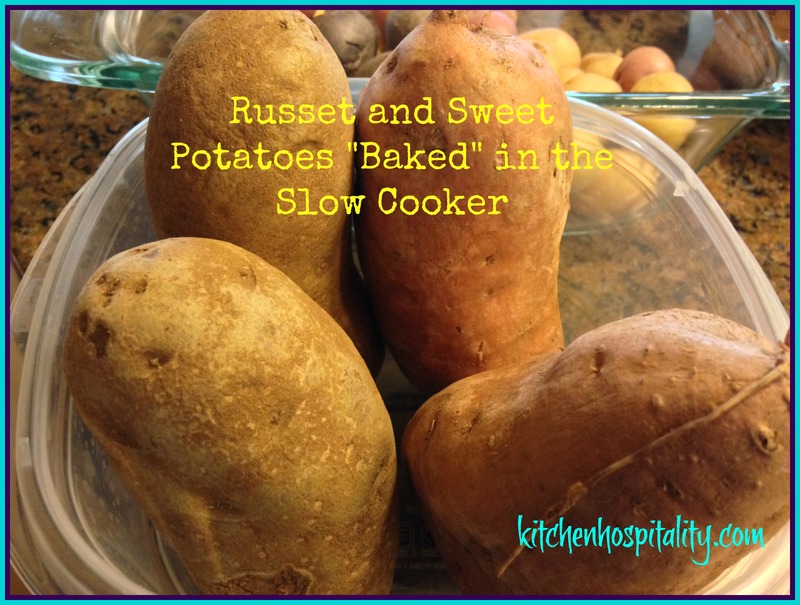 I experimented with cooking Russet potatoes and sweet potatoes in my daughter’s KitchenAid 7-quart slow cooker recently. Some in the family don’t like sweet potatoes, so I wrapped two Russets together and two sweet potatoes together in foil and placed them in the slow cooker with about a cup of water. The experiment involved cooking two different recipes the same day. Therefore, I only cooked the potatoes on high for two hours. After two hours, I tested and tasted them. The sweet potato was closer to being done than the Russet. It wasn’t perfect but softer to poke with a sharp knife or fork than the Russet. So I put them in the oven for 45 minutes on 400 degrees. If I had not planned another recipe so quickly, I would have continued to cook the potatoes in the slow cooker for two more hours. The potatoes may have been done a little more had I wrapped them individually. Cookingclassy.com has an excellent recipe for “baking” potatoes in the slow cooker all day while you’re at work. Take a few moments to visit the site and see how easy it is to cook potatoes all day in the slow cooker. Rub olive oil on potatoes. Wrap each potato individually in foil and seal. 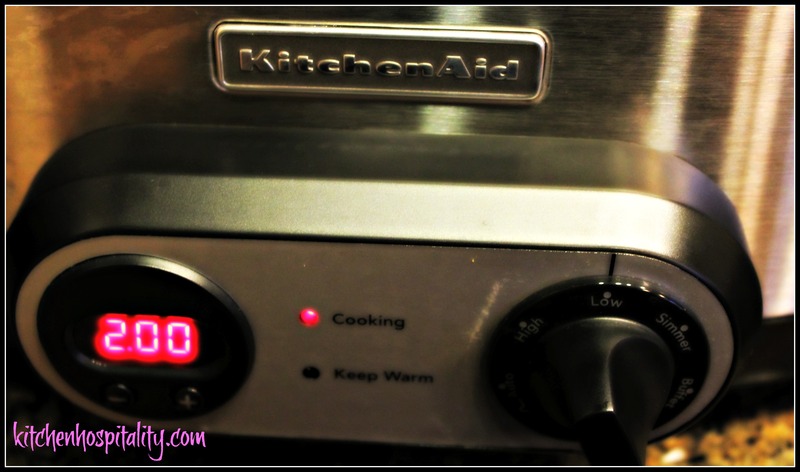 Put water in slow cooker. Place potatoes in slow cooker and cover. Cook on high for 4 hours or low on 8 hours. Since I was experimenting with a couple of different slow cooker recipes the day I was cooking the potatoes, I chose to save the potatoes for the next day for twice-baked (and sweet) potatoes with butter, cheese, and my yummy recipe, Slow Cooker Barbecue Shredded Chicken. I cooked the shredded chicken and the potatoes in my daughter’s KitchenAid, a seven-quart slow cooker. Mine is smaller, but small or large slow cooker will work for cooking the chicken and potatoes. I love that it’s possible to “bake” potatoes in the crockpot. As the weather gets warmer during summer, I don’t like to heat up the house by turning on the oven. Wih this method, I can still have bake potatoes.